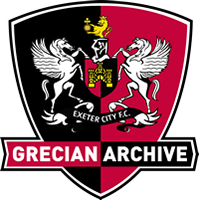 One the mainstays of the Exeter City team in the late 1920s and 1930s, Reg ‘Nobby’ Clarke played major part in the run to the FA Cup quarter-finals of 1931, and also became one of the few Grecians to have played over 300 league games for the club. 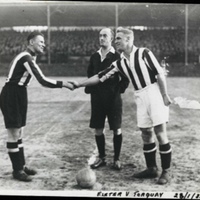 Born in 1908, Clarke first signed for Exeter in 1927, after playing locally for Friernhay and then the Southern Railway. He made his league debut for the Grecians in a 1-0 defeat at Newport County in March 1928, and, from then on, became a regular in the side. Exeter played a benefit match for him against Leicester City in September 1933. 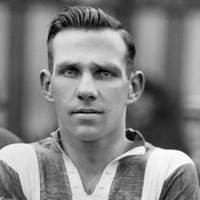 He remained at St James’ Park until the end of the 1936-37 season, whereupon he signed for Aldershot. He enjoyed two seasons with the Shots playing 63 league matches and scoring 3 goals. Clarke later became landlord of the Kings Arms in Seaton and was still there in 1957, as well as being a club official with Seaton Town Football Club.